Deson Kitchen was founded in 1947 as a small "one-man" building and furniture workshop in Germany. In 2002, our company was awarded the ISO9001-2000 quality management system certification. Now we have developed over 500 stores, covering hundreds of cities around the world. We are proudly to announce that Deson have gained several patents these years, including the height-adjustable cabinets attached with patented aluminum bars, butterfly buckles etc. Finally, the branch of New Zealand was established in Hamilton at 2018. We look forward for providing kitchen design, manufacture and installation to our customers. It would be appreciated if we could visit you at your convenient time for introducing ourselves to you. If any further information is needed, please do not hesitate to contact us at our office number 07-8501628. Our show room is located at Unit 7, 671 Te Rapa Road, Te Rapa, Hamilton. You are more than welcome to pop in during our office hours. Well Hung Joinery is Wellington owned and based and has been a leading provider of quality timber joinery and kitchens since 1999. Originally based in Petone, in 2006 they shifted to a more central location and are now based in Ngauranga, Wellington. The move has meant they can provide a faster service to the greater Wellington region. We are specialist in interior design, especialy in Kitchen, Vanity and Bathroom. We are great with clients, from the moment you start with us, we will treat your kitchen as mine, follow up in details, and we will help you to get your dreaming kITCHEN. We think plywood is beautiful and good design is even better. Our materials are chosen for their durability, beauty and strength. We understand if it works well, you’ll love it even more. Talk to us about creating a gorgeous kitchen designed specifically for your space and life. We do lovely things with ply. Here at Make, we believe good design is nice to look at and great to live with. Everything we do is modern, durable and useful. Check out our ready-made stuff in the online shop or work with us to create your own. Big or small, it’s just better with ply. Small team. Big reputation. 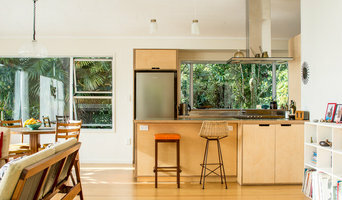 SWP Interiors is a leading design and build company based in Avondale, Auckland. The business is owned and operated by master craftsman, Scott Payn, who has over 20 years experience in the kitchen and cabinetmaking industry, and who sets the bar extremely high for his team in terms of innovation, workmanship and service delivery. In the 10+ years that SWP has been in business, we haven’t had to advertise at all, as the majority of our work has come through direct referrals. This is a testament to the artistry that our entire company upholds and the impressive results we deliver. It also speaks volumes in terms of how genuinely thrilled and satisfied clients are with our work. See what some of them have to say. 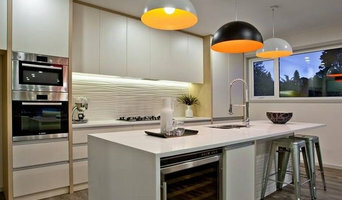 Kitchen renovations, new builds, kitchens for investment properties. Full service from consultation to installation. We make it easy to choose your new kitchen. We can provide contacts for plumbing, gas fitting, electrical, tiling and other services PLUS trade rates for your appliances through our network of industry contacts. Home Skills have been operating on the Hibiscus Coast, North Shore and beyond since 2006. We have completed many Kitchen, Bathroom, Renovation and Decking projects to the complete delight and satisfaction of our customers. Home Skills ‘point of difference’ is qualified Tradespeople and a Project Manager - all for a cost effective price. 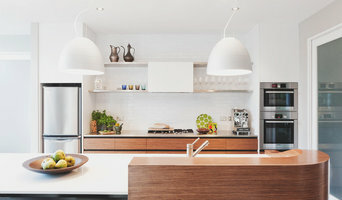 An online community providing all the inspiration and information you need to plan your kitchen build or renovation. Links to tried and true quality tradespeople to help get the job done. 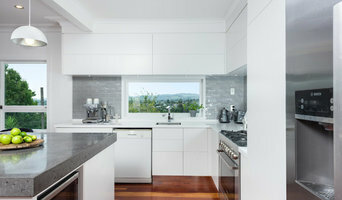 Skelton Kitchens is a family owned and operated business making and supplying quality Kitchens and Cabinetry to Dargaville and the Kaipara Region in Northland New Zealand. Skelton Kitchens, a home based company that has YOU at the heart of our business. We strive to bring you excellence every step of the way beginning with free home visits and quotes. You tell us what you want, or think you want:) We visit your home and talk about your needs and wants; we get to know you. 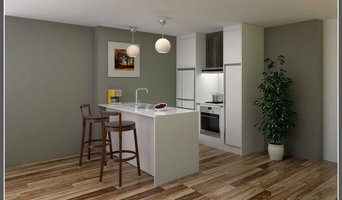 We help you design the best kitchen to suit your life style. The ball rolls from there and you end up with the dream kitchen you've always wanted ... or the rental make over to make a sale, the choice is yours! We manufacture exclusive custom build kitchens. We also manufacture bespoke furniture: Sideboards, bookshelves, tables, wardrobes etc. Our in house designer has several years of experience with both residential and commercial design, and we can offer any service you might need. You are naturally welcome to bring your own design and plans, and we will work with that.